They say Sherpa vans don’t quit… and neither do their drivers – well, here’s the proof. Vans from China’s biggest motor manufacturer are locked and loaded for launch in Australia in October after a formal sign-off ceremony in China this week. A shipment of 120 LDV V80 vehicles produced by SAIC subsidiary Motor Commercial Vehicle Company (SMCV) will kick off the latest Chinese brand to arrive in Australia through a 45-dealer network. Importer WMC Group inked the multi-year contract to distribute the Chinese-built vans from LDV on Wednesday, adding the marque to its other Chinese brands Higer and JAC. 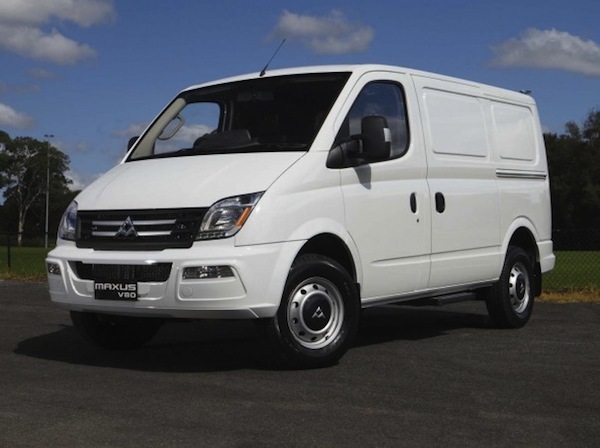 The vans were to have been sold under the Maxus brand in Australia, but as GoAuto reported early this month, WMC dropped that name because of a trademark clash with a range of aftermarket truck components. Instead, WMC and its Chinese partner reverted to the original British name for the company, LDV, which SAIC bought in 2009 after the UK firm crashed in the global financial crisis. The front-drive van was originally launched in the UK in 2005 as the LDV Maxus LD100, but has since been modified, with suspension tuned by Britain’s Motor Industry Research Association (MIRA). Shanghai-based SAIC Motor is a major joint-venture partner with the two biggest western car-makers in China, General Motors and Volkswagen, producing 3.6 million vehicles last year. The import deal, which has been in the pipeline for at least a year, was inked on Wednesday in Shanghai by WMC CEO Jason Pecotic, SMCV managing director Lan Qingsong and Shanghai Automobile Import and Export Company (SACO) general manager Zhengrong Zhang. Mr Pecotic said the multi-year arrangement signalled the Chinese company’s confidence in the Australian distributor. The vans will both be powered by a 2.5-litre VM Motori diesel engine producing 130bhp and 245lb ft of torque. 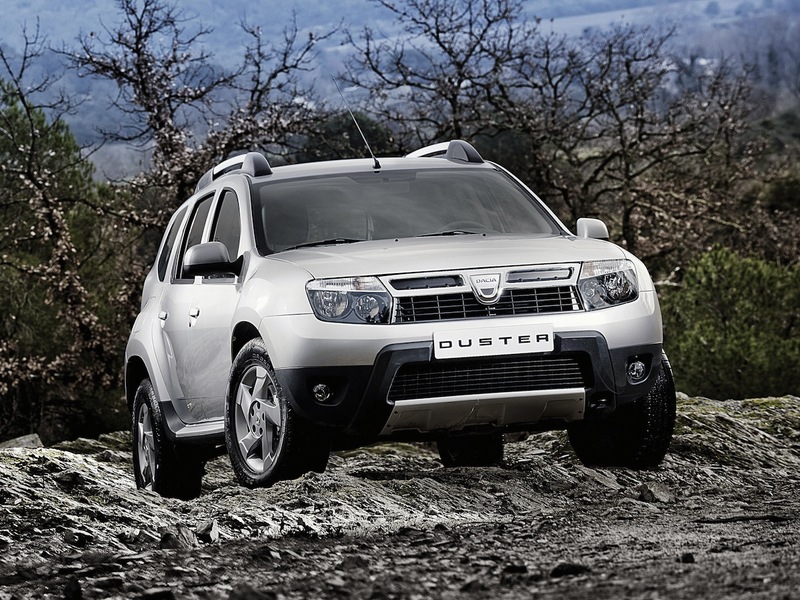 Standard features include rear barn doors, tyre-pressure monitoring, 16-inch alloy wheels, dual sliding doors and door-integrated electric entry steps. Didn’t know that SAIC got LDV, another reason to re-introduce Morris over here. especially as it looks like ford are about to ruin the transit. British Morris Commercials the initials have a certain ring to em. Wondered when these were re-emerge! You can’t keep a good old dog down. Whats next a Sherpa for the african market? Well the Maxus has certainly moved around a bit during its lifetime – there must be something good about it! 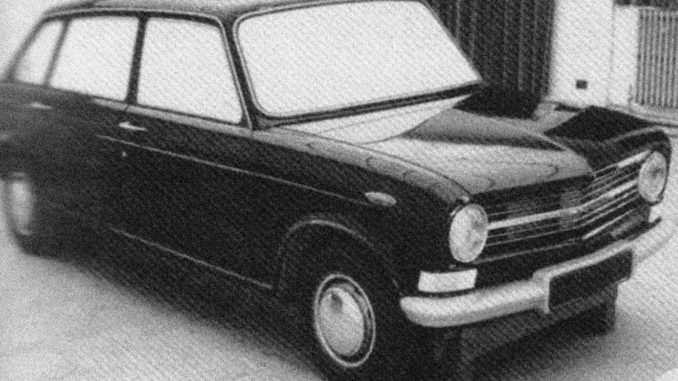 One of the biggest tragedies of that period – LDV wanted £5m from the Government to keep the Washwood Heath plant running, IIRC, and it was not forthcoming, leading to the loss of 800 jobs, a brand, a landmark factory and the spiritual blow of losing another Birmingham manufacturer. Dr. Qu Li was connected with both firms, Nanjing and SAIC. @4 wasnt she having a tait-a-tait (getting poked! )offf one of P4? and a criminal tragedy. Nick Stephenson. Most recently she’s been reported as living with a technical bod at Bentley. I didn’t know SAIC had bought LDV also. So the Government wouldn’t cough up 5million to keep LDV going (for a little while longer anyway). Criminal. Do Governments (this current one especially) think that the population would rather pay for Jobseeker’s Allowance, or to prop up a potentially viable business, helping to safeguard many jobs in the West Midlands? I know the Maxus van wasn’t exactly world beating, but with sufficient investment and a decent commercial partner it could well have made a go of it. @7 i never saw as a bad vehicle,rigid and well put together bodyshella belt ad braces van. Erm, those don’t look like alloy wheels. If they can’t get publicity shots right, what are they going to do in production? Those are the standard steel items (British spec). Although if you ask me, alloys tend to look silly on a panel van- they tend to emphasise the large amount of body in proportion to the relatively small wheels. And they look even more ridiculous wearing ‘Max Power’ stylee alloys with ultra low profile bits of ribbon. I rented on of those for a day when my normal hire shop failed to provide the Renault van that I’d rented before. It looked okay from the outside, but it was shockingly bad compared to the usual Renault. It was a bit like a pre-1986, non turbo diesel, Luton bodied Ford Transit to drive – but built to a much lower standard! Very sorry to see it return from the grave. VM diesel – there’s a surprise. What’s happened to the Washwood Heath factory – it had a massive press shop. @4 Judging by that you’d be forgiven for thinking she gets around a bit.. and I do agree, my opinion is she’s shagging them to get at the manufacturer’s goodies.. but that’s my opinion. The thing is, one reason why the Maxus died on its arse was front wheel drive. Even Ford still stick to rear wheel drive for most of the Transit range, and only the tiddlers are fwd. Postman pat was screaming at LDV to make a rwd Maxus. The Maxus was also very expensive to make, thanks due to the low volume sales. Australia is still firmly wedded to rear wheel drive for just about everything too. And I hope SAIC actually price it correctly, and not like the MGs here that are 30% overpriced. I spotted some BMC trucks in Turkey, I wasn’t sure if they were built by a company originally set up to assemble CKD BMC lorries. They did until not that long ago use the flying plughole logo, and their Sherpa based van had very similar styling to the LDV Pilot, but with larger headlamps & indicators. The door shape though was very close to the original Sherpa van, and the engine was very closely related to the old O series diesel. I used to drive and work on BMC buses every day. Quality wasn’t a watchword, but the bodywork..well ‘Brick sh*thouse’ springs to mind, especially after the minimal damage to one that t-boned a new Lexus, which it destroyed! Cracked windscreen and broken fibreglass bumper section & headlamp surround… I somehow doubt the new Maxus will hit UK shores though. Postman Pat has turned to Peugeot & Ford now, and will get massive discounts from both, and they were the only real buyer of the Maxus originally. @2 I live in Benin, West Africa and on the streets of the town I live in I’ve seen at least one LDV van. Add to that several Rover 600’s and a few Landies! Rover still has a presence here in Africa! I think it looks more like a Mitsubishi logo, again, if you squint a bit. With SAIC owning SMCV (that really doesn’t trip off the tongue) and MG Motors, maybe we can look forward to an MG Maxus in future? I went to rent a van from Europcar, their yard had 4 dead Maxuses (Maxii?) awaiting parts. i drove a Maxus during a house move it was brilliant far superior to the transit. Sold in the UK as a Morris? The trouble with expecting the government to bung money £5m in this case, is what happens after that runs out, which it will. Do they bung some more, then more? Where does it end? Over a 37 year period between 1968 and 2005 the British car industry as represented by British Leyland in all its forms devoured public money yet never became a stable, self sustaining business. Its not the answer. LDV had gone from crisis to crisis, it’s only hope was as part of a global giant, and all of the the major car companies produced their own vans and weren’t interested… government money would only have kept the company open for another year or two. It probably didn’t help their case that both Ford and Vauxhall make many of their vans in the UK, and could argue that money for LDV would adversely affect employment at THEIR UK factories. I worked at LDV from 1987 to 2000 as a paint sprayer then a form man in the body drop shop and trim shop, the company was in dire from 97 onwards and this vehicle was ment to go in to production in 99 , I worked on this vehicle and it could of been good for the uk van market, but sadly lack of investment saw otherwise , I now live in Sydney Australia and look forward to test driving the finished product, Michael Redmond. The mv motori engine was great, but when the high pressure fuel pump failed it was an engine out job so at a cost of £1800 I had to cut my losses and let her go!!! 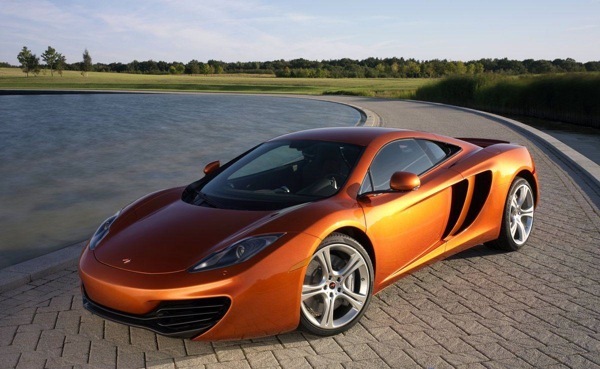 Google images show some decent interior shots of it… doesnt look to bad, and with alloys. I remember being part of a diving club, high roof ex-Post Office Freight Rovers and early Leyland Daf vans were very sought after for camper van conversions. when is it coming back to the uk, (I want one) as ford transit owners are moving over to the ldv maxus as the ford has got a crap engine / rotton bodys and loads of problems. all the ldvs that I sell said they have had all trouble with the transit, even new models. some one let me know asap.